Snack guilt-free this summer with fresh blueberries, strawberries, raspberries, and much more. Make sure you visit a local grower this summer. 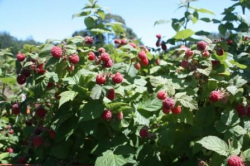 One can expect strawberries to be ripe between June and mid July, raspberries from early July to August, and blueberries from late July to early September. Call ahead because peak seasons vary from year to year. The best time to pick berries is either in the morning or evening when the sun is setting. This is so the sun does not soften the berries so they are easier to pick. When picking the berries, use both hands. One hand will be used to hold the branch while the other takes the berry. 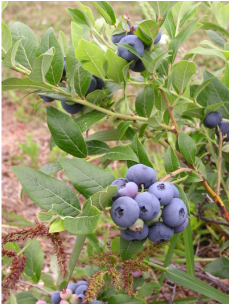 Pick only fully ripe berries and keep the stems on the fruit. This entry was posted in What to do in Wisconsin and tagged fresh fruit, orchards, travel, wisconsin vacation. Bookmark the permalink.